It’s an old saying that still holds a lot of truth, even today. As a professional and local small business owner, you know marketing is simply too important in today’s world to not have a solid plan. A plan that creates the results you need and gets your business in front of your best prospects and clients. The concept of marketing is simple: expose your products and services to the people that need them and have the means to acquire them from you. But what specific results or outcomes are you trying to get from your marketing efforts? 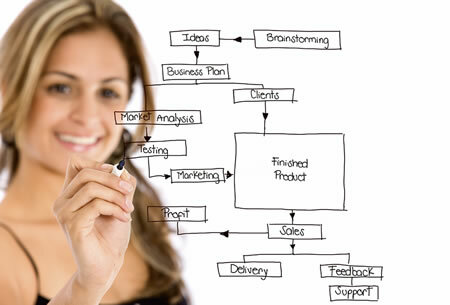 This is where your marketing plan comes in. Figure out what specific and measurable outcome(s) you want for your business. Determine where you are relative to those outcomes today. Create a plan or blueprint to take you there. So why is it that so many businesses don’t do it? Some will claim they have no time. While others have the innate ability to plan on the fly and still make good on getting to their outcomes. But, the most successful businesses are always planning and learning about what works for them in their market, for their customers. That may be good for them. And more power to them if on the fly works for them. But is that any way to run a business? Energize your vision so that we have on paper what your future destiny looks like. Blueprint the strategies and tactics so you can measure your progress toward the objectives that lead you to your outcomes. If you need help implementing these strategies to reach your outcomes, we have a team of experts in web design, copywriting, social media, search engine optimization (SEO), and security that can help you put the action behind creating your vision. See Execute for more information. Could this help move your local business to another level of profit or stability? For many of our clients the answer is a resounding YES! If you are interesting growing your business, please contact us today. We’re here to help local small businesses grow and help our communities prosper.